I am expecting my 2nd and 3rd daughters. They are to be twins. I'm struggling to come up with twin names for them, falling under the same theme or letter. 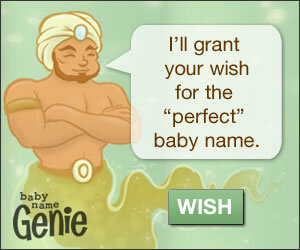 I've considered things like Jocelyn and Justine, or Daisy and Rose, but I thought I would ask the genie. Ideas? I personally LOVE names with the same theme and the nature theme is my favorite! Rose & Daisy is a perfect set! There are many, many themes avaliable for your babies. What's your oldest child name? What type of names do you like? The most important is deciding on two names you absolutely love and adore! Here are some theme ideas! Hope this helps & good luck! !